After Michigan's logging era, much of the northern part of the state looked like a wasteland. Part three of "An Idea on the Land"
This is part three of our series "An Idea on the Land." Part one is here. Part two is here. It’s the summer of 1831. A young French writer arrives in Michigan, hoping to get a glimpse of untouched American wilderness. He sets off from Detroit. "A mile out of town," he writes, "the road goes into forest and never comes out of it." 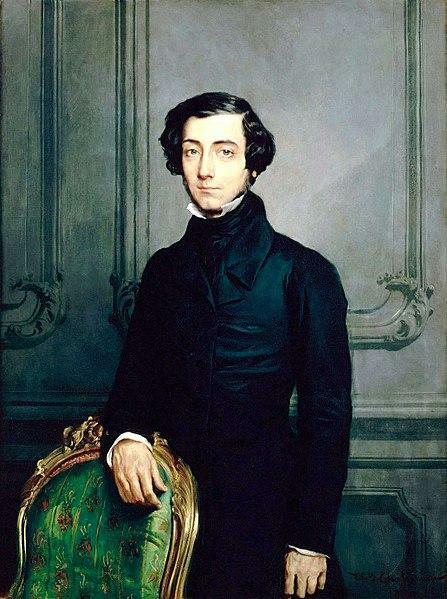 An 1850 portrait of Alexis de Tocqueville, painted by French artist Theodore Chasseriau. Alexis de Toqueville travels on horseback from Detroit to Saginaw, the entire way covered by dense, virgin forests and swampland. He relies on native guides to find the way. When he finally emerges onto the banks of the Saginaw River, he contemplates what was soon coming for this land. "In a few years these impenetrable forests will have fallen," he writes. "The noise of civilization and of industry will break the silence of Saginaw." I’ve been trying to hold a picture in my mind of what de Toqueville must have seen. There are no pictures of Michigan before the trees fell. All we have are the words and maps left by the Europeans and their descendents. They tell of a land covered by ancient forests. In the southern half of Michigan, maple, beech, oak, hickory, and ash. American chestnuts too — giants that once spread across the eastern U.S. in groves, with trunks five feet thick. American chestnuts are nearly extinct now, most of them killed off by blight. Up north, the trees were different. White pines and hemlocks, with massive trunks that shot straight to the sky, branching only at the very top, 100 feet above ground. Today, there’s only one place in Lower Michigan where you can see a forest like that. The old growth forest at Hartwick Pines State Park. “We are about to walk into our old-growth forest,” says Hillary Pine, a historian with the Michigan Department of Natural Resources. She’s showing me around Hartwick Pines State Park, just north of Grayling. (And yes, Pine really is her last name). “We have the largest stand of old-growth trees left in the Lower Peninsula,” Pine tells me as we walk along a paved path. The forest around us has the feeling of a cathedral. Tall columns, a high ceiling. A rare kind of calmness. It’s not a stretch to say that the wealth created during the logging boom is what made Michigan possible today. The wealth in wood turned into other kinds of wealth. 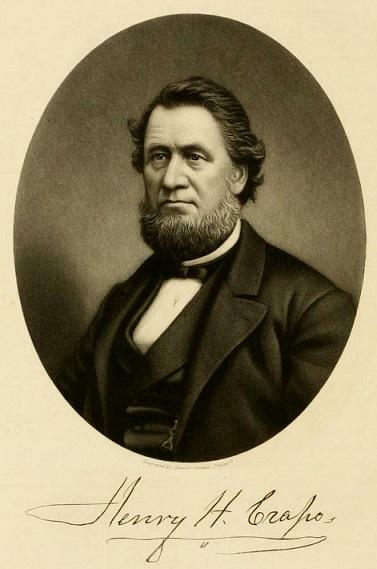 After building his fortune in the logging industry, Henry Crapo would go on to serve as Michigan governor from 1865 to 1869. In 1858, a man named Henry Crapo moved from Boston to Flint to get into the lumber business. He made a bunch of money. So did his grandson, William Durant, the founder of General Motors. When Henry Ford launched his first car company in Detroit, the money came from William H. Murphy, another lumber baron. When Ford split from that company, Murphy stayed in the automobile business, and renamed the company Cadillac. Michigan is the state that put the world on wheels. But the financing came from the forests. Hillary Pine says the result on the land was devastating. There are photos of this. They show barren landscapes, strewn with branches, tinted in sepia. The loggers didn’t take everything. They left behind the smaller trees, the gnarled branches, the pine needles — just enough to set off massive wildfires. 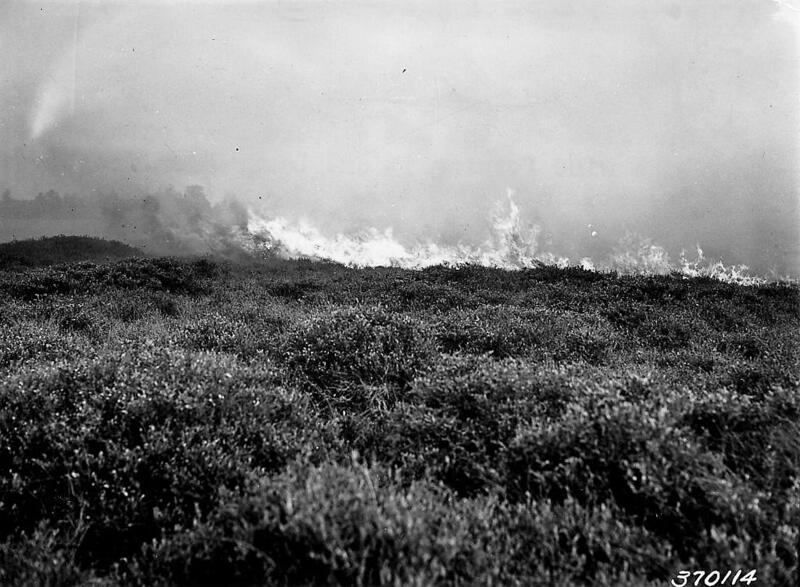 A photo dated from 1938 shows a wildfire in the Huron-Manistee National Forests. On October 8, 1871 the Great Lakes states were consumed with fire. Most of us have heard of that day because it’s the day Chicago burned. But Chicago wasn’t even the worst of it. One fire started in eastern Wisconsin and reached parts of Michigan's Upper Peninsula. It’s known today as the Peshtigo Fire, and it’s still the deadliest wildfire in U.S. history. And there were other fires that day. An estimated 2.5 million acres across Michigan burned. Ten years later, in 1881, the Thumb Fire burned another million acres. It killed more than 280 people and sent a plume of smoke all the way to the East Coast. The worst of these fires ended over a century ago. But the land of Michigan is still recovering. “This was a regionwide, human — I don’t want to call it a disaster — but a major disturbance,” says Knute Nadelhoffer, a biologist who studies forest ecology. He directs the University of Michigan biological station. It sits on about a hundred acres of land along Douglas Lake on the northern tip of Lower Michigan. Pretty much all the forests we see in northern Michigan are like that. Most of us can’t tell the difference, but there is a difference. Younger forests have less diversity of plants and animals. “So we have a much simpler and younger forest on average,” Nadelhofer says. But we do have a forest. That’s because a hundred years ago, after the forests were destroyed, the soil washed out, the remains sent up in apocalyptic flames, the people of Michigan had a change of mind. The clearcutting stopped. Eventually a massive effort began to replant the trees. The civilian conservation corps went acre by acre, planting millions of trees. Today, the trees have grown tall, and you can still spot them, in stretches of forest where pine trees grow in perfect rows. And a few people acted to save the forests that still stood. People like Karen Hartwick, who saved Hartwick Pines. 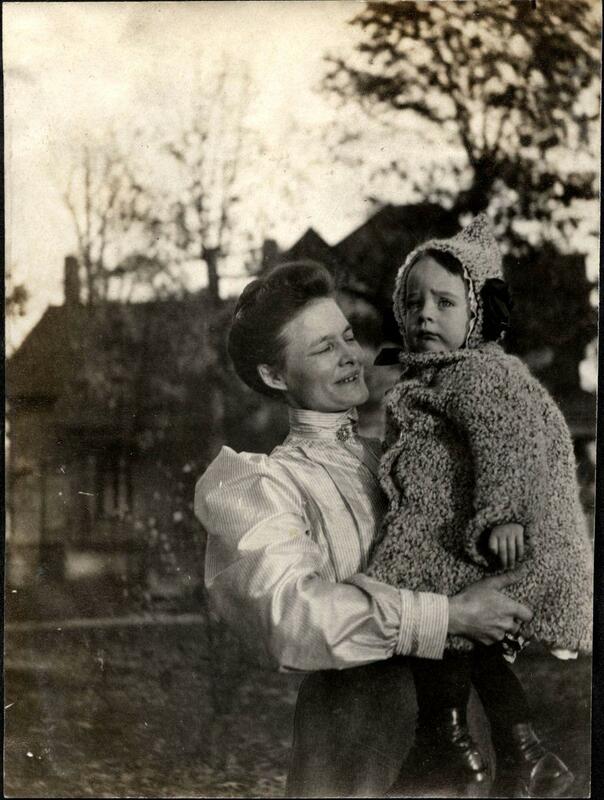 Karen Hartwick holds her son Robert (1907). Karen Hartwick was born Karen Michelson, the daughter of a lumber baron. Pine says in high school Karen met Edward Hartwick, and they eventually married. Hartwick got into the lumber business too. But when World War I broke out, he went to Europe to serve his country. He never came back. In her grief, Karen decided to make him a memorial. But it wouldn’t be another statue or a plaque. She wanted to memorialize him in land. Then Pine says Karen Hartwick discovered her father’s lumber company still owned an 8,000 acre patch of land near Grayling, and part of that land had never been logged. It was a small part, not worth the effort of setting up an entirely new operation to bring the trees down. The lumber company didn’t want it anymore. She gave it with some stipulations. She said the trees here can’t be touched. Nothing can be harvested. If a tree gets a blight, the blight stays until the tree falls. When the tree falls, the log stays there, and rots, just like trees used to do. That log becomes a refuge for bugs, mushrooms, small mammals. Trees support life long after they die. Why does all this matter for us today? Because our ideas about forests, our ideas about land, they last long after we’re gone. The early white settlers of Michigan had certain ideas. Karen Hartwick had certain ideas. Their ideas are still playing out on the land, more than a century later. The ideas we have about land, and water, will play out for centuries after we’re gone. And these ideas, they are never really just about land. They’re not about forests or trees or little squirrels living in dead logs. They’re ideas that affect people. And the consequences for people can last a long time too. Tomorrow, for the final part of our series An Idea on the Land, we’ll hear about a traumatic event that happened 118 years ago this week. An event that’s still affecting lives today. It’s known as the Burt Lake Burn-out. Part two in our series "An Idea on the Land." It was 1823. The land of Michigan wasn’t yet a state. The indigenous people far outnumbered the white settlers. The Erie Canal hadn’t opened. The flood of European immigrants was yet to arrive. Stateside's conversation with Donald Dickmann, a professor in Michigan State University's Department of Forestry. In some parts of Michigan, there are forests that can take you back in time. Old-growth forests of towering trees offer a rare glimpse at what Michigan looked like before the logging boom of the late 1800's. Donald Dickmann, a professor in Michigan State University's Department of Forestry, told Stateside where visitors can see stands of old-growth trees in Michigan.